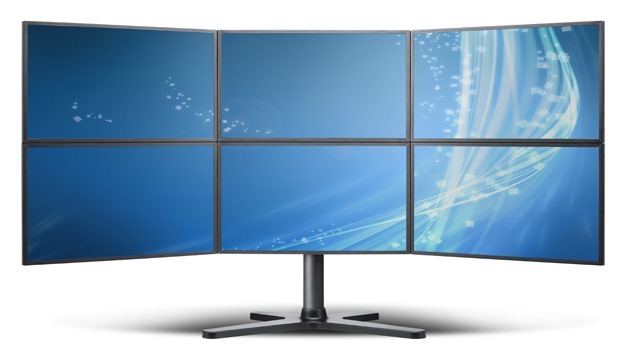 As the costs of computer monitors and powerful graphics cards have tumbled year on year, so has the affordability of having multiple displays connected to a PC. It is now no longer just the preserve of a select few blue chip company employees. Computer monitors have also continued to shrink in size from the traditional, bulky CRTs to the slimmer, more compact flat panel LCDs, as such so has the desk space required to accommodate a multiple monitor set-up. There is no better time to consider upgrading to a multi-monitor set-up; it is now a much more practical proposition than ever before for the average householder to have more than one monitor attached to their home PC. Back in the early days of the PC everybody used to use the familiar CRT computer monitor. These were rather bulky and heavy, and offered comparatively small screen sizes relative to their own dimensions. My first computer monitor, back in the early 1990s, was a meagre 14”. In 2000 I upgraded my PC and opted for a 17” CRT monitor, which I thought was the Bee’s knees at the time compared to my old 14” model. Thankfully technology advances rapidly and within a few years the flat screen LCD monitor became an affordable alternative to the old faithful CRT monitor. 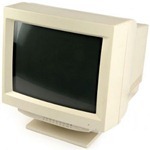 LCD monitors offered similar viewing apertures to CRTs, took a fraction of the desk space and weighed appreciably less. They were also more power efficient than their elder CRT counterparts. In 2004 I upgraded my old CRT monitor to an Iiyama TFT E431S 17” LCD monitor for the princely sum of £318. In the process I managed to reclaim some valuable desk space; it is surprising how much bigger and uncluttered this made my desk and my office appear. I never planned to have a multi-monitor set-up, but in 2007 a good friend of mine bought me a new PC that came with a monstrous 24” Dell 2407WFP LCD monitor. After upgrading from my old 17” monitor to this huge 24” one you would of thought that I should have been more than satisfied. Under normal circumstances I would. However, I now had a spare monitor that was surplus to requirements, and my new PC came equipped with an Nvidia Quadro FX 3450 graphics card that sported two independent outputs. How could I not take advantage of this golden opportunity? It would have been silly not to, so I dutifully connected my spare monitor to the spare output of the graphics card and instantly joined the dual monitor club. I had been bitten by the bug! Having grown accustomed to a multiple monitor system I could no longer resist the temptation and after much consideration I decided to enhance my set-up from a humble dual screen system to tri-screen system, thus increasing my virtual desk space by 50%. The first problem to overcome was the number of monitors that my current graphics card could support; two, while my new scheme required three. Unfortunately, due to the age and internal layout of my PC, it was not practical to add an additional graphics card. I therefore required a new graphics card that was capable of supporting at least three independent displays. 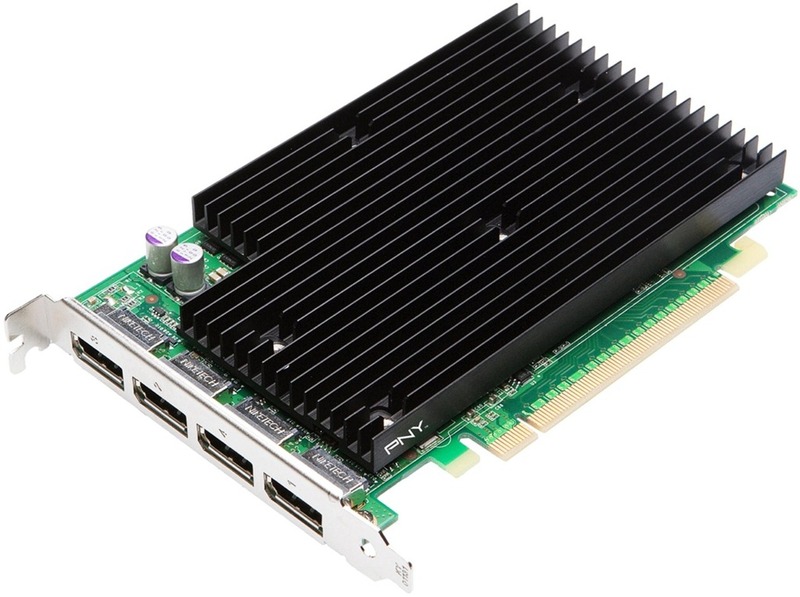 Having scoured the Internet, and had a very helpful conversation with the chaps at Nvidia via their online chat system, I settled on the Nvidia Quadro NVS 450 which had four independent DisplayPort connectors. The connectors on my monitors did not support this new display connection format, but fortunately adaptors were readily available for a few pounds a piece. The new graphics card happened to be more efficient than my old one, but more importantly, was also quieter as it had no fan. This may be of little concern to most people, but as I often record podcasts and other audio projects, any reduction in background noise would be most welcome. The final piece in the jigsaw was to buy the third monitor. 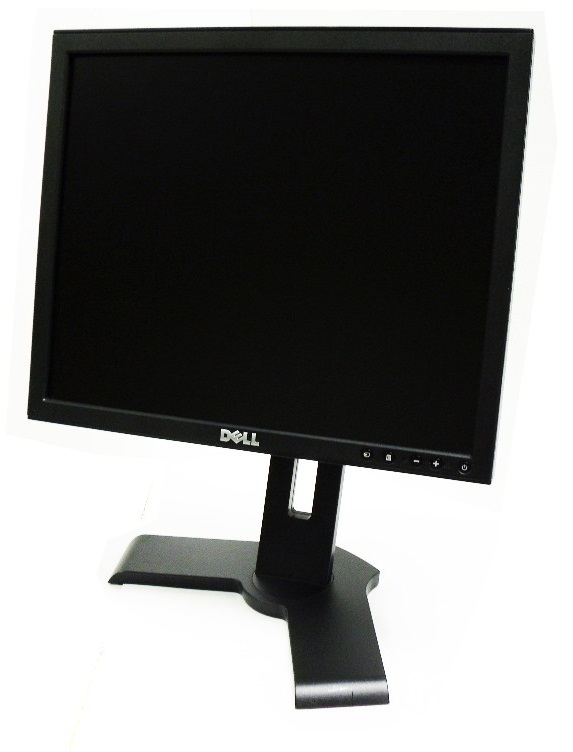 Instead of buying just one additional monitor however, I bought two new Dell P170S 17” LCD monitors. While this helped to preserve the look and symmetry of my system, it also enabled me to use the old LCD monitor for my Linux server in the garage, replacing an old 15” CRT monitor that got retired to the local skip. Interestingly the two new Dell monitors cost less combined than the single 17” Ilyama monitor that I bought 7 years previously; they call that progress I think. I could have undoubtedly chosen larger monitors for my upgrade, but as I use a head mouse to control the PC due to my physical disability, extra wide monitors would have meant that I would have had to virtually twist my head off to get the mouse cursor to the extremities of the screens. 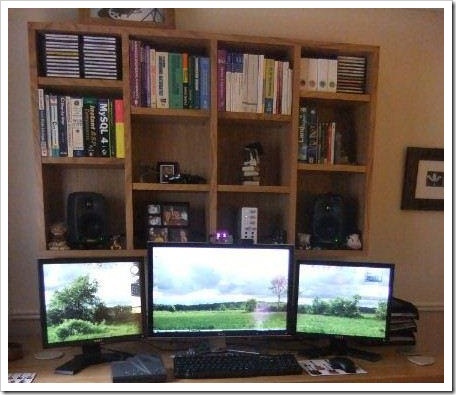 Furthermore, as my audio speakers are mounted on a bookshelf behind the computer monitors, and I do quite a bit of audio work in my study, I did not want the new computer displays to be too tall and therefore shadow the speakers. Having used a multiple monitor set-up for a few years, I would now find it very restrictive to have to return to a single monitor system. Within a few days of installing my third monitor I was already beginning to wonder how I ever managed to cope with a measly dual monitor system. Having multiple monitors allows you to spread open documents across your different screens, just as you spread papers across a normal desk top. This allows for quick and easy referencing across the different documents, instead of having to sift through various open documents on your screen, ultimately improving your efficiency. If the true paperless office is to have any chance of success in the future, then I think multi-monitor set-ups will be an essential component. Realy good blog, so useful information.